A history of Cumnock through old photographs, drawings and maps. The book tells of the early days up to recent times, with images of local streets, buildings, country houses, memorials and shops. A great selection of images which the resident and exile of Cumnock will love to look through. 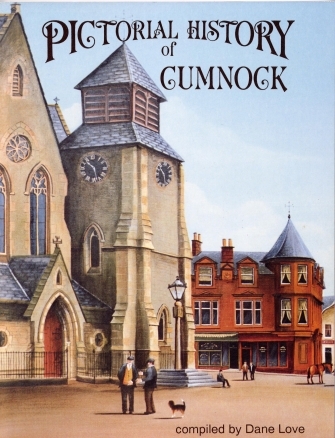 Pictorial History of Cumnock is now OUT OF PRINT. You may be able to buy a secondhand copy from Amazon. Click the link to the left. Thank you for visiting the Dane Love website.